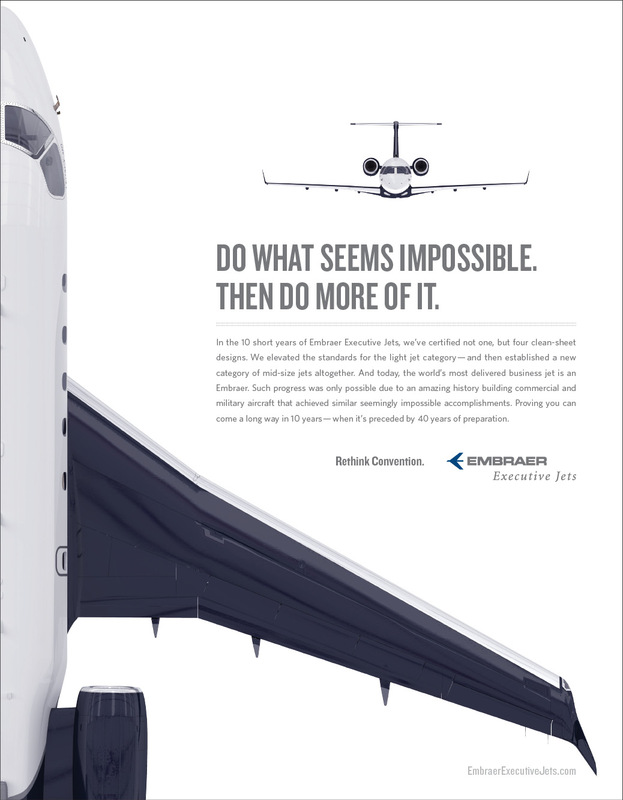 The relaunch of a brand that exists to challenge the status quo in business aviation. 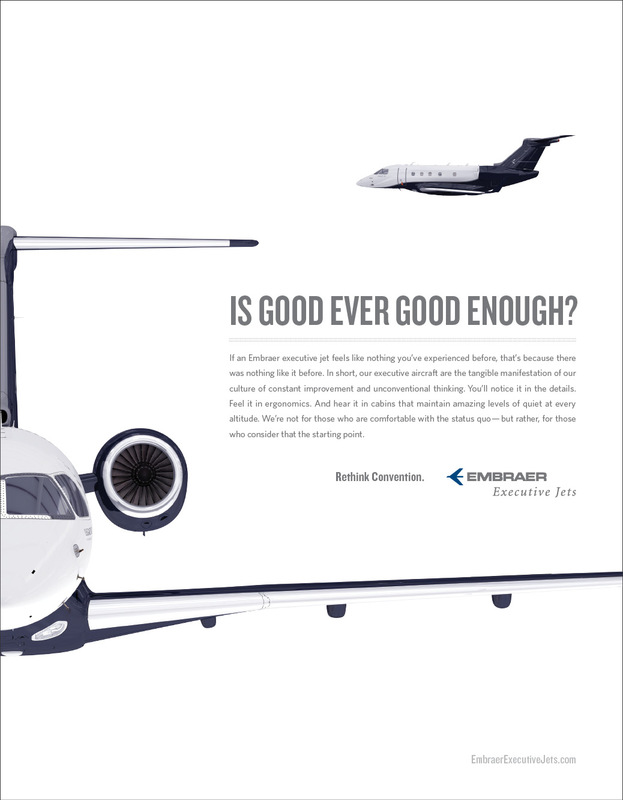 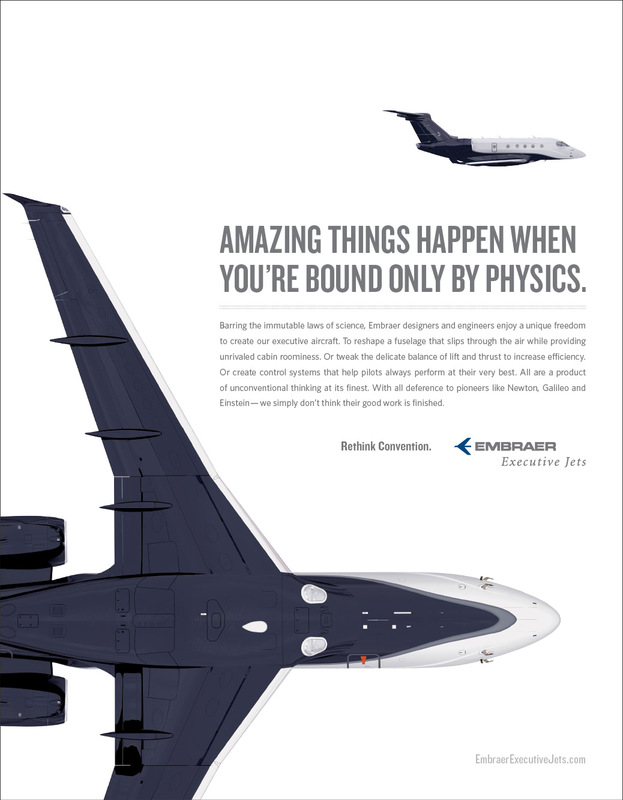 Embraer approached Pure Brand to help them articulate their brand, about ten years after they’d entered the business aviation category. 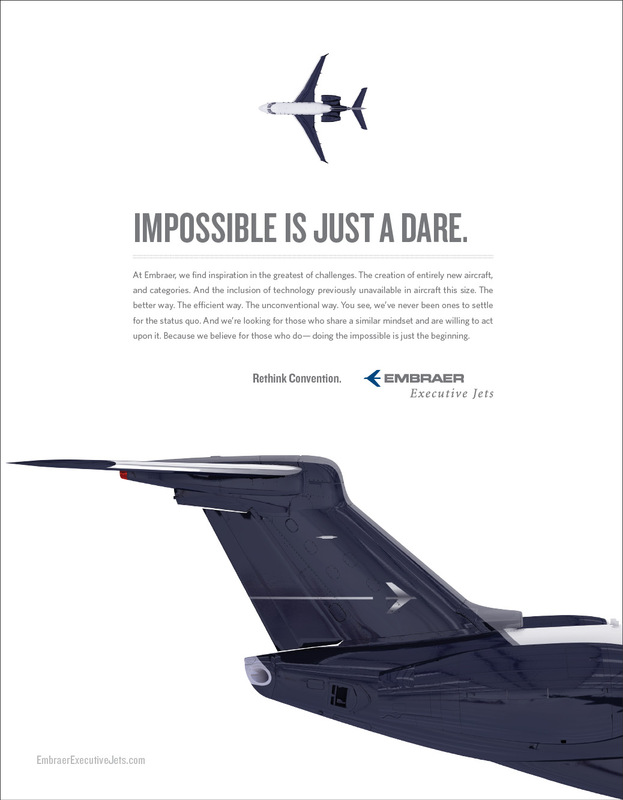 Pure Brand quickly identified the soul of the brand – based on nimbleness, innovation, optimism and humility.